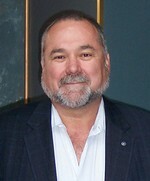 Robert David Steele Vivas, 56, is a former US spy, co-founder of the US Marine Corps Intelligence Center (today a Command), and CEO of Open Source Solutions Network (OSS.Net, Inc.) as well as pro bono CEO and angel funder of Earth Intelligence Network, a 501c3 Public Charity that creates public intelligence (decision-support) in the public interest. For 20 years he has been the foremost international proponent for Open Source Intelligence (OSINT), and offers 30,000 pages of free information online from 750 international authorities, all easily accessed via www.oss.net/BASIC and www.oss.net/LIBRARY. Since 2002 he has helped pioneer peace intelligence and is the originator of he proposal for a United Nations Open-Source Decision-Support Information Network (UNODIN) to be funded by the United States of America, and to include an Assistant Secretary General for Decision-Support, a Multinational Decision-Support Centre that relies exclusively on open sources of information that can be easily shared with Non-Governmental Organizations (NGO) and other stakeholders, and a diplomatic Office of Information Sharing Treaties and Agreements. He is the author of ON INTELLIGENCE: Spies and Secrecy in an Open World; THE NEW CRAFT OF INTELLIGENCE: Personal, Public, & Political; INFORMATION OPERATIONS: All Information, All Languages, All the Time; THE SMART NATION ACT: Public Intelligence in the Public Interest; and ELECTION 2008: Lipstick on the Pig. He is the contributing editor of PEACEKEEPING INTELLIGENCE: Emerging Concepts for the Future and is the contributing publisher of COLLECTIVE INTELLIGENCE: Creating a Prosperous World at Peace, and of PEACE INTELLIGENCE: Assuring a Good Life for All (forthcoming, raw material at www.oss.net/PEACE). All of his books are available at both Amazon in hard-copy, and free online at www.oss.net. His vision for the future of Earth Intelligence can be reviewed at www.earth-intelligence.net.